Sometimes, scientists are fortunate enough to come across well-preserved animals, but this is just stunning. 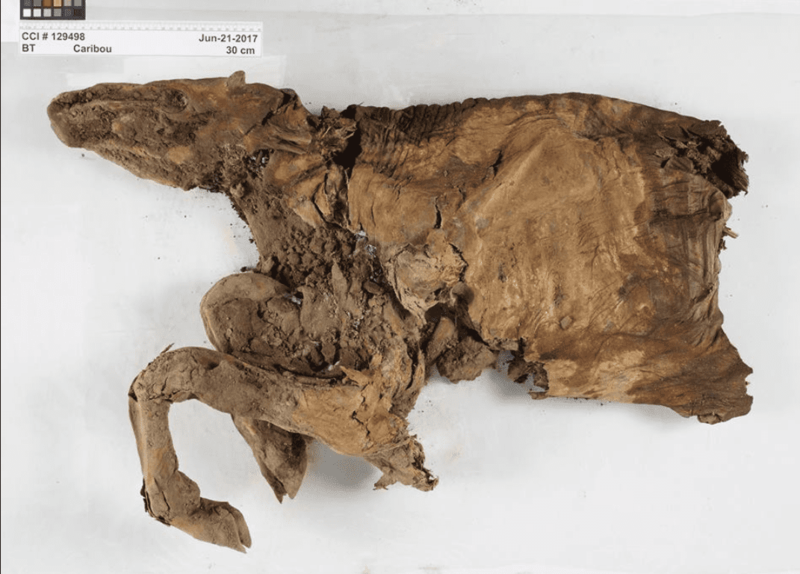 The remarkable remains of two Ice Age mammals, a wolf pup and caribou, were uncovered by gold miners in the Yukon territory in Canada. Even the skin and fur are preserved, and the finding is an extremely rare one. 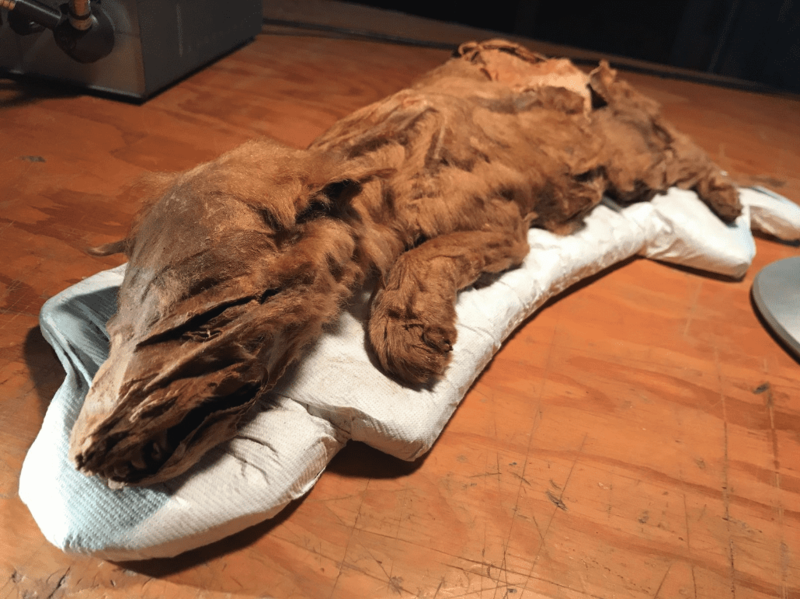 “To our knowledge this is the only mummified ice age wolf ever found in the world,” Yukon government paleontologist Grant Zazula told the CBC. The wolf pup remains uncovered near Dawson, Yukon. Photograph: Government of Yukon. The caribou remains include the torso, head, and front limbs — but the wolf pup is even better. It’s essentially completely preserved, including everything from its tail to its head, skin, and fur. The miner who came across it thought it “maybe was a dog”. The key to their conservation is the volcanic ash layer where they were found. The ash, which was dated to 80,000 years ago, isolated the remains from decay and decomposition. The mummified remains of the caribou. Photograph: Government of Yukon. However, the period where the animals used to live also played a key role. Because the skin and fur are so well-preserved, Jan Zalasiewicz, a palaeobiologist at the University of Leicester, says that the cold climate also created conditions suitable for preservation. During the lifetime of these creatures, Canada was covered by thick ice, but Yukon managed to escape being covered by glaciers. The wolves and caribou likely roamed the area alongside wooly mammoths and fearsome felines such as the scimitar cats. The specimens were discovered a month across by miners looking for gold. They have been carefully stored and maneuvered and will be sent to scientific labs for DNA and bone analysis which will offer more insight not only about the two creatures but also about the food they ate and the environment in which they lived.